Ha Long Nightlife Guide – What Activities For Tourists To Join In? 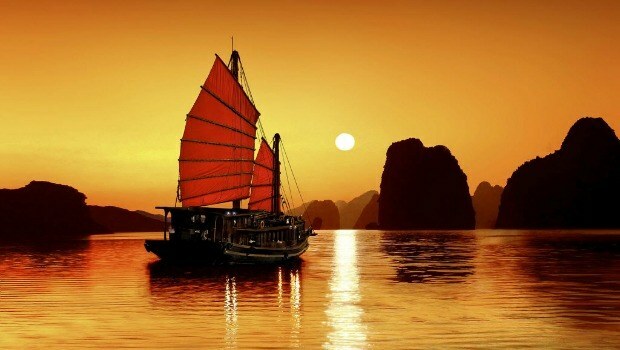 Home » Vietnam Travel » Ha Long Bay » Ha Long Nightlife Guide – What Activities For Tourists To Join In? Halong Bay (Vịnh Hạ Long) – despite it is not an ideal nightlife destination, there are still some interesting places for tourists to have a drink and enjoy the views at night. The ideas of enjoying a diversifying Halong nightlife brings people a different view of Halong, apart from its breath-taking landscapes and scenes. When not travelling around Halong bay, it could be a romantic idea to enjoy the evening by spending your great time at the waterfront venues. Nightlife in this coastal city has attracted local people and tourists to spend their vacation. This city beams with various activities at the odds hours. 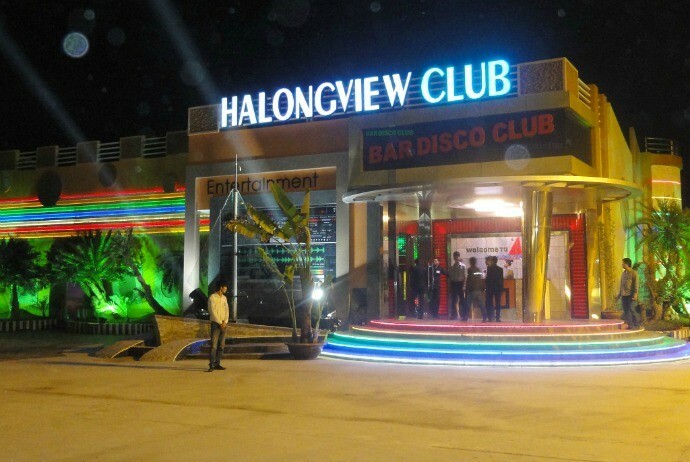 There are some noticeable options of nightspots in Halong, which are really worth visiting. Some of the fashionable nightspots of this city are pubs, bars, nightclubs and casinos. Most of the nightclubs here are open for guests till late hours. The bars and pubs here offer extremely relaxing ambience to sip your favorite drinks. 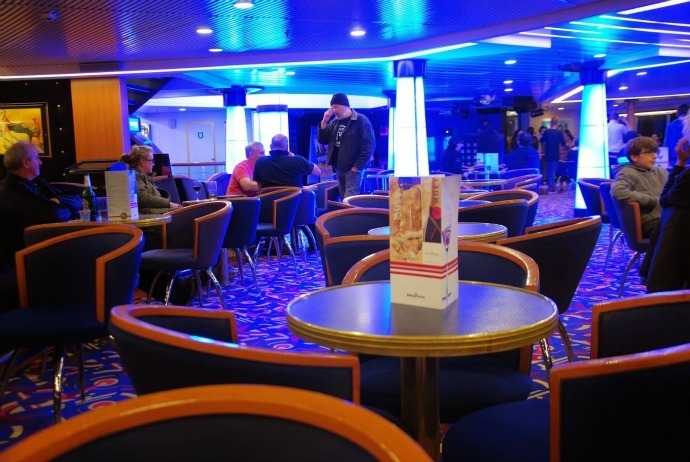 You could taste a variety of local and international drinks in the waterfront venues. Halong nightlife is also great thanks to the availability of professional casinos. Read on to know what the most worth-trying Halong nightlife activities are to join in! The night food street of Halong is located on Ben Doan (Bến Đoan) street, Hong Gai (Hồng Gai) ward. Covering an area of total of 11,000 m2 with approximately 87 booths, this night market includes 60 outdoor stalls operating from 16:30 to 24:00 and 27 covered stalls that sell from 5:00 to 24:00. 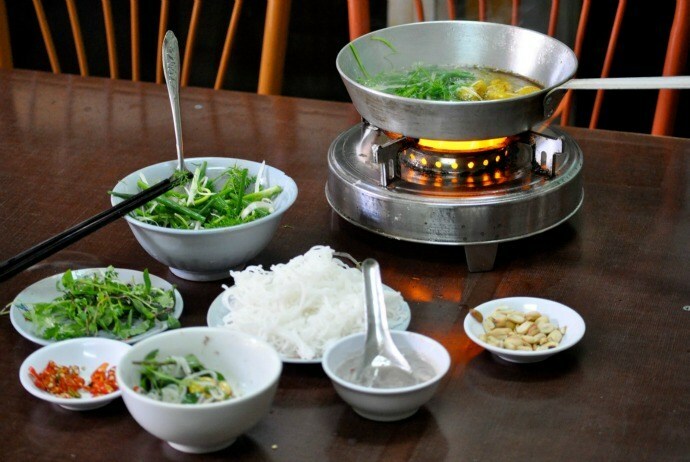 With various choices of food in booths, tourists are not limited to enjoy specialties of Halong, Quang Ninh (Quảng Ninh). In addition to the advantage of the scenery, Halong tourism is concentrating on developing and introducing its unique specialties through building a large scale of night food streets. This is one of the unique tourism highlights of Halong nightlife that attracts tourists. Actually, this new night food street is designed to get over the inadequacies of the old food street at Gieng Don (Giếng Đồn) Street, including environmental problems, hygiene problem, parking place, food safety, and security. If you are the one who likes the view as well as the cooling feel of Halong Bay, you will definitely enjoy such things in Ba Hang bar. Ba Hang Bar is situated in the center area of Halong Bay. It is a floating bar, being an impressive site when it comes to Halong nightlife. There are foods, drinks, snacks, and music and light for you to enjoy till late night. With a wonderful view of the World Heritage site, spending your night time bar on Ba Hang floating bar will bring you to a unique experience about Halong nightlife. It is the best site for tourists to have unforgettable time of your life upon visiting Vietnam. For anyone who loves to experience entertaining excitement of Halong nightlife, Ha Long View Club is a great choice. The services here are prepared to entertain the customers to the fullest. Featuring with loud music from the professional sound system, this bar also has good light system giving it more impressions. Besides, there are beautiful dancers who excitedly keep dancing as long as the music is on. In regard to Halong nightlife, tt is really a lively place for tourists to deep themselves in. For those who are looking for a destination with luxurious setting, then this spot is an ideal choice. Situated inside the Van Hai hotel, the restaurant and bar may not be as closed place as others. Nonetheless, it offers romantic vibe. 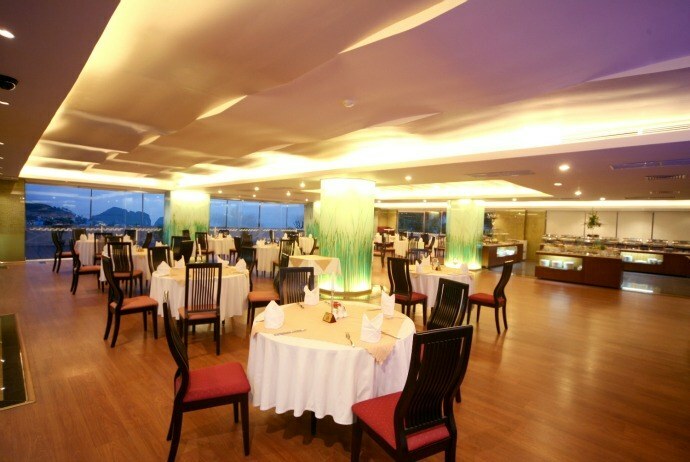 It is a good site for romantic couples to spend their time together on eating, drinking and simply chit-chatting. The staffs here are friendly and could serve you with diversifying foods and drinks. After all, it is a bar, so you could expect great music when relaxing here. Regarding to Halong nightlife, bars are the ones that could show tourists how the nightlife goes around this coastal city. The Karaoke Diamond Club is one of the most famous destinations for tourists to enjoy at night. It is rather noisy at night and particularly keeps you busy with excitement. Dancers, music, and light are everywhere and give you a retreat from the hustle and bustle life. Guests could express themselves are much as they like here. Staffs here are professional and attentive. One of the noisiest clubs in Ha Long city is the Captain club. 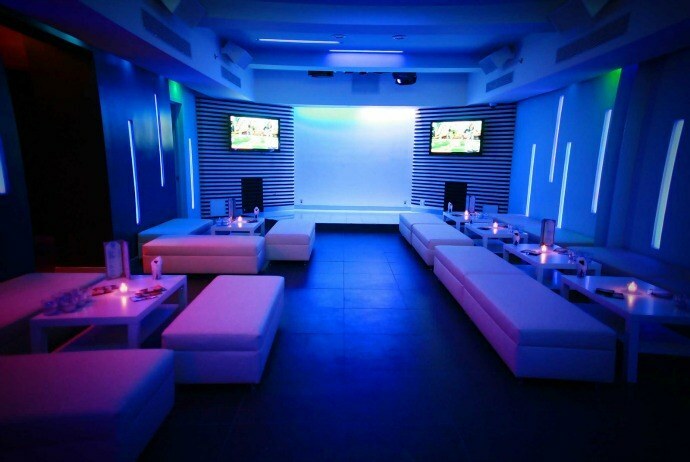 The club itself is merry with music played loudly with great light and sound systems. Guests will never forget the experience of high vibe there. A lot of local people and tourists love to go there due to their delicious foods along with fresh drinks and high quality sound system. Indeed, this is deserved a great place to forget your busy life and enjoy your night time. Not only do locals love spending their night time in Club 18, but backpackers, travelers, tourists from around the word also find this place a perfect Halong nightlife destination for relaxing. Even when you are foreigners, it is no need to worry. The staffs can speak English rather well and are very friendly. You could enjoy great time here while eating and drinking delicious foods and fresh drinks. For those who want to enjoy live music, there is no limited choice in Halong, but Le Pont Cat Ba Club Bar and Restaurant still brings an outstanding impression about Halong nightlife. This place is where you could listen to nice live music whilst tasting sunset cocktails, fresh drinks and western foods. Because it is located in the high area, so guests could get the good view of the city. Enjoy things here will make a good mood for you. 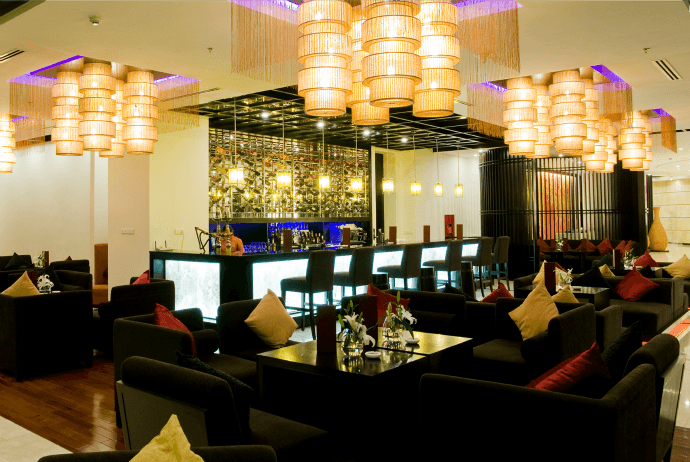 As its name, Lobby Lounge Bar could just be found in Hotel Novotel in Halong Bay. This hotel serves guests from breakfast to dinner, with 24-hour services with stylish and friendly background are what makes this place standing out from others. If you want to have a casual meeting with your friends, choose Lobby Lounge Bar because it has wonderful view of sunset over Halong Bay. Apart from the great view, you could also relax with live music here, which always begins from 18:00. One of the most interesting music venues within a hotel which is well-worth visiting is La Plaza Bar and Lounge. Housed in Halong Plaza Hotel, this bar serves guests with extensive array of drinks and snacks. It is a good place for you to flow your soul with traditional Vietnamese music as well as modern due band. So, what you could ask for more from such an exciting place like this of Halong nightlife? Situated in Bai Chay, right at the heart area of Halong Bay tourist area, it just takes 5 minutes to walk to the white sand Halong Beach. With adequate shops, restaurants, and facilities, the Halong Party Hostel And Hotel offers you much more than just a simple bed. You can stay at a cool, new and funky property in the nice center area of Halong Bay. 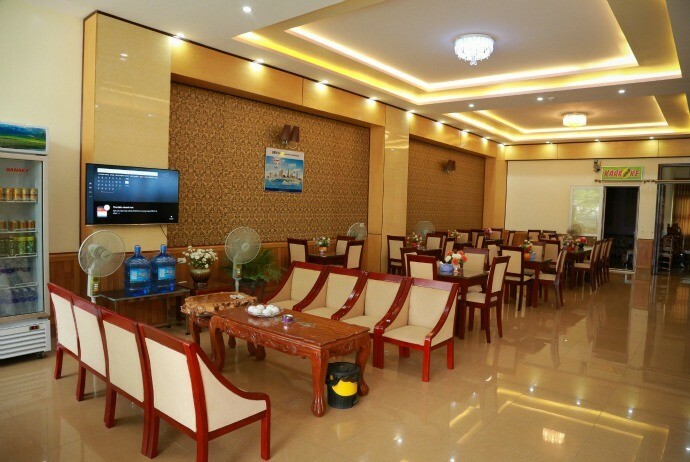 Interestingly, the property in Halong Party Hostel & Hotel has a welcoming feel of home with a party atmosphere, which makes your stay in Halong Bay a highlight of your journey throughout Vietnam. One of the most popular Halong nightlife destinations among travelers is Flightless Bird Café. Here, you could enjoy the most cooling feel of Halong nightlife. Choose a comfortable seat on the balcony on the second floor and you will be difficult for you to take your eyes off beautiful harbor view of Halong City. If you could want to get some information about Halong Bay, and exchange books, this is a good choice. The full list above hopeful has helped you find something interesting about Halong nightlife. Though there are not many activities for tourists to take part in Halong bay at night, the given suggestions will still offer you a new view of Halong, apart from its beautiful scenes and views. If you have any idea about this topic of Halong nightlife, feel free to leave your words below this post. We will respond as soon as possible. 12 best Halong bay restaurants – where to eat in Halong, Vietnam? Shopping In Nha Trang – What & Where To Shop In Nha Trang?